My last literary sketch based on the prompt, “She must live!” was a great success and I’m very excited to share it with you all in this post. I will admit, the piece does have some necromancy in it, but if you’re expecting something along the lines of the Zombie Apocalypse, you’ve come to wrong place (though please stay and read on anyway!). Before I get to my sketch, however, I quickly wanted to provide another writing resource I found here on WordPress. 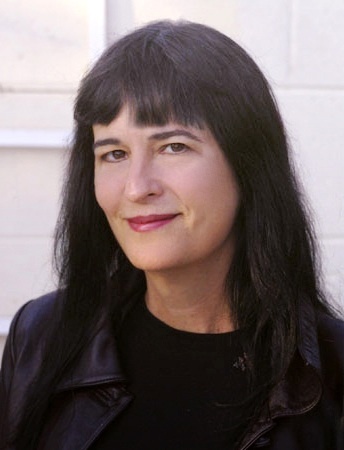 StereoTopical Blog is a space that offers advice, tips, and tutorials on writing. It’s also a spot for new writers to display their work in prose and articles, and, as the site put it so nicely, a place “to build a strong community of writers of all walks of life and of any caliber.” Their posts range from Writing Basics and How-To’s, Tips, & Hints, to Book Club, Competitions, and Writers’ Review. You can check it out here at http://stereotopical.net/! This wasn’t how it was supposed to be. It should’ve been him lying there, not her. Controlling the tremors of his hand, Griffyn reached out and brushed Narissa’s cheek with the tips of his fingers. The paled dark skin felt unrecognizably cold. Moving closer, he mimicked a memory of him caressing her face, touching her as if she might turn to dust. Only this time, Narissa’s still features didn’t light up with a smile, her hand didn’t move to tuck her dark curls behind her ears, and her eyes didn’t flutter open to gaze back at him. With every passing second she lay on the stone altar, she seemed deader than before, and Griffyn couldn’t take it. “You’re sure this’ll work?” he asked, his voice and demeanor still able to maintain composure over the ache in his throat and the piercing pain in his chest. Tearing his gaze from her corpse, Griffyn glared at the thing that had the audacity to speak to him with such condescension. The creature stood on the other side of the altar, eyes closed and pale lips moving as he whispered in his cursed language. His gloved hands were lighting what seemed to Griffyn like the fiftieth candle. The rest were arranged in a circle around them, the burning smell of incense mixing with the musky air of the forest. It unnerved Griffyn to see the flames so close to the ground, yet harmless to the blades of grass they licked. “Then get on with it!” he snapped. “I don’t have all night!” Though Griffyn would wait decades if it meant getting Narissa back, he refused to let this thing know how desperate he was. The creature called Raphael opened his eyes, his silver stare sending a chill down Griffyn’s spine. Griffyn disguised his unease by readjusting his grey suit jacket and running his hand through his usually immaculate blonde hair, now tousled from this nervous habit. Both of them knew any demon caught practicing magic would be arrested on the spot and a twenty dollar bill would erase the company of any human present. That being said, it puzzled Griffyn why Raphael was helping at all. From the lessons his parents had taught him to the crimes on the news and the deal-gone-wrong that had put him in this mess, Griffyn rightly believed that these things were demons in human form. Yet, Raphael wasn’t like any other creature Griffyn had met, not that he frequently interacted with their kind to begin with. The thing had even offered to do the job for free, though Griffyn wouldn’t be fooled by another one of these abominations. Being left in its debt would be the second worst mistake of his life; he was already trying to fix the first. “Just do what I’m paying you to do or I’ll call the authorities,” Griffyn threatened. The creature narrowed his eyes at him. “Mind your tongue, human. Your patience isn’t the only one that runs thin.” Griffyn grimaced before taking a step back, allowing Raphael to continue with the ritual. Raphael pinched the tips of his leather gloves and pulled them from his hands, revealing his black magic-stained nails. He closed his eyes and raised his palms, chanting in the cursed language again. Every foreign word and syllable burned Griffyn’s ears. Suddenly, the still forest burst with a violent rush of air and the flames of the candles erupted skyward, blazing above Griffyn’s head. He gasped at the rising ring of fire and felt his skin crawl at the rush of the magic gale. The atmosphere felt thick with heat, the smell of sickly sweet smoke now filling his lungs. He looked back at Raphael and found the creature unfazed, the wind pulling at his hair and his words echoing louder into the night. Though his heart was ready to leap out his chest, Griffyn found himself smiling; he could feel Narissa’s presence coming from the other side. At that moment, the smoke from the flames billowed upward and swirled like a tornado, the heart of the mass, now glowing gold, whirlpooling down in the direction of Narissa’s body. Griffyn used his arm to shield his eyes from the rapid gusts; nothing would stop him from watching his love’s soul reenter her body. Before the golden tip plummeted into her chest the ground shook. Cracks ripped through the earth beneath the altar and the flames of the candles wavered. The swirling smoke possessing Narissa’s soul hesitated before vanishing in front of Griffyn’s eyes. Raphael’s eyes were now open, staring at the helpless man and the lifeless body he held. “How is it too late?” Griffyn exclaimed. But the creature merely shook his head, the flames around them dying down. Nature didn’t respond to him as it had to Raphael. The ground remained still and the candles went out with a puff. Griffyn was left with his face buried in Narissa’s hair, her curls drinking his tears, and the wind carrying away his helpless pleas. Thanks for taking the time to read my work and I hope you enjoyed it! I’d also love to hear your thoughts and advice in the comments section, as well as other writing resources you find particularly helpful. My next writing prompt is “Shatter the Bone,” and I’m drifting towards connecting it with notorious tomb raiders. Look for my next post to see how I take a crack at my next short story! This entry was posted in Literature and Poetry and tagged Creative Writing, fantasy, literary sketch, necromancy, raising the dead, science fiction, short story, Stereo Topical Blog, three minute fiction, writing advice, writing resources, writing tips on February 22, 2014 by Taylor Griffith. This entry was posted in Science and tagged data set, lyman alpha forest, music composition, research, science, westtown school on February 20, 2014 by annekatherineb. For more tips from Lisa Cron and Kurt Vonnegut, you can find them at http://wiredforstory.com/8-random-writing-tips/ and http://www.writingclasses.com/InformationPages/index.php/PageID/538. 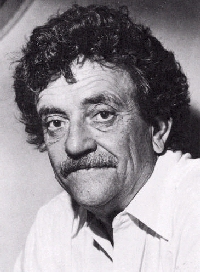 This entry was posted in Literature and Poetry and tagged Creative Writing, Kurt Vonnegut, Lisa Cron, literary sketch, literature, science fiction, short stories, three minute fiction, writing tips on February 15, 2014 by Taylor Griffith. If I were to write a self improvement book it would be entitled Asking for Help. This entry was posted in Science and tagged asking for help, ly-a, ly-a forest, lyman alpha forest, music composition, westtown school on February 10, 2014 by annekatherineb.